Moscow court upholds detention of Dagestan antimonopoly official | Russian Legal Information Agency (RAPSI). 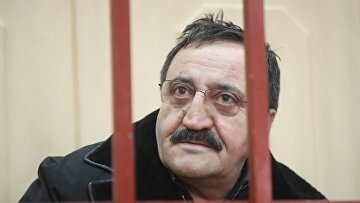 MOSCOW, October 8 (RAPSI) – The Moscow City Court has upheld extended detention of the Federal Antimonopoly Service’s Dagestan Directorate chief Kubasay Kubasayev charged with taking over 2.5 million rubles ($45,500) in bribes, the press-service of the court has told RAPSI. The defendant is to stay in detention until November 22. The official is charged with taking a bribe and may stay for 15 years in prison if convicted. Kubasayev was first detained in March. According to investigation, between 2013 and 2015, Kubasayev received money, Swiss watches and a sporting gun for a total of about 2.6 million rubles from Shamil Kadiyev, the director of the republic’s state public institution Office of the Single State Customer - Developer. In return, he did not obstruct the holding of auctions by the organization for the right of concluding government contracts.